Welcome to the site of the Mudflats archives. This blog was active from May 2008 – December 2008 and includes all articles posted during the 2008 campaign season. You can utilize the categories, and search features in the sidebar to find what you’re looking for. Occasionally if we experience an outage, this site will be utilized for current posts and information. To visit the current active blog, please go to www.themudflats.net. When I first appeared on Jeanne’s groundbreaking pages well over one year ago, I wrote about participating in the eBay auction to buy a meal with Sarah Palin to benefit a worthy veterans’ charity. A short time later, after losing that auction to what looked like a rigged bid, I then offered through Mudflats an additional $200,000 for that same charity if Sarah would answer civil question over a second meal, on the record, with the likes of Jeanne, Rachel Maddow, Shannyn Moore, and Keith Olbermann. While I waited in vain for an answer from your ex-governor, I managed to contact Frank Bailey and his wonderful wife Neen. Over fourteen months ago, after substantive dialogue, we decided to pursue a memoir. Two months later, I realized I needed Jeanne Devon to help me navigate the million details of Alaskan politics and personalities. I invited (actually, demanded) she join the team. Frank balked at first. After all, he’s conservative and she’s a liberal blogger. I insisted they meet or I’d walk away from the project. Well, no surprise, he embraced her inclusion after only a second cup of coffee. For over a year—that’s right, friends, over a year—we worked in silence. 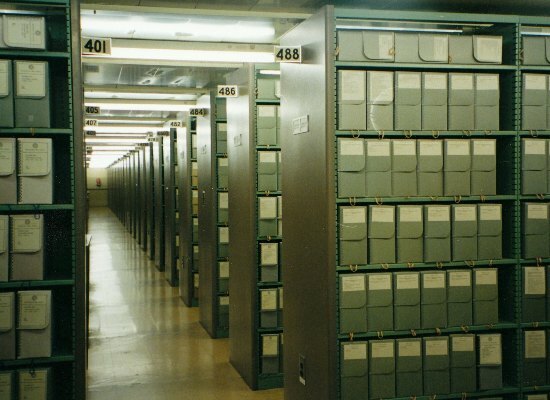 We spent countless hours (on my end, upwards of 70 hours per week) constructing what we believed was an important book, based on documented truth. Within the last month, we finished a marketable draft. Not a final draft–we anticipate changes, both additions and deletions–but something that our agent believed would result in substantial interest in the publishing world. You can imagine our joy. Then the manuscript was sent out, illegally, to the media. Why? Good question (Jeanne and I have discussed writing-up this disturbing story-behind-the-story with its ethics be damned. New Yorker, are you interested? Rolling Stone?). With permission from my legal team, Jeanne and I decided to post what is known as a Cease and Desist order. And while there are many other unnamed parties who have engaged in unethical behavior and violated copyright law (you should be ashamed of yourselves), this is the most shocking. entitled “Blind Allegiance to Sarah Palin: A Memoir of our Tumultuous Years” (the “Work”). significantly impaired the Copyright Owners ability to market the book…. more than that of a jealous author sabotaging a competitor via unlawful and unscrupulous means. whom you distributed the Work. Please feel free to contact me to discuss this matter further. Those numbers are holding across the board with 34% of precincts reporting. Southeast Alaska and rural areas have not reported in yet. And still they hold at 40% returns. Don Young has entered the building. Guess what he had on his arm? Yes, the Mayor’s party planner. No, I am not kidding. This may require a trip to the beer garden. There are chants of Don Young! Don Young! Don Young! Whoops and hollers. He’s doing the rounds with the TV stations. Lots of sign wavers with the same yellow sign he’s had for probably all 20 terms. Scott McAdams is in the house. Cheers went up from all corners of the room. Overheard opponents’ supporters talking about what a great campaign he ran. He’s talking to TV right now and saying we’re waiting for the numbers from Southeast Alaska and Bush Alaska to come in. Bill Wielechowski (the best Bill in Juneau) is in the house. Looks like he held his seat. So did Pete Petersen who faced tough opposition from a Karpetbagger from Kodiak. Chris Tuck also kept his spot in the legislature. All three of them are definitely “good guys.” We need to appreciate these victories which really mean a lot too. Sean Parnell (R) has entered with scads of red balloons and cowbells. Interviewing with Mead Treadwell on Channel 2. He has taken the governor’s race. This is very close. If ALL of the write in votes are for Murkowski, this is a tenuous lead at best. This doesn’t count in voter error and legal challenges which are sure to come. Joe Miller sign wavers are here. Not too many… and no sign of the Bearded One. ADN reported via Twitter that he refused to talk to the press and will not be coming to Election Central. Is anyone surprised? Scott McAdams just sat down to talk with Shannyn on the air. He said he’s proud of the campaign. Lisa Murkowski is in the house. Chants of “six more years.” She’s being interviewed by Channel 2 now. Now there are chants of “We made history!” That one is premature at best. With only four points separating her and Joe Miller, and all the perils of a write-in campaign yet to be navigated, we undoubtedly will be following this election for a while longer than we’d hoped. Thomas Van Flein, the attorney for Sarah Palin and Joe Miller is in the house. Neither of his clients are present. The hall is starting to clear out, and the TV crews are packing up. Alright, time for me to pack it up too. Murkowski is not declaring victory, because obviously we don’t know anything. It’s going to be more drama, folks. Buckle up. 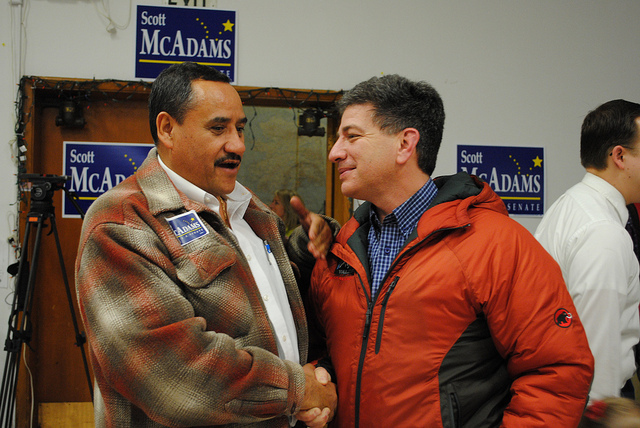 If you are in Anchorage, Fairbanks or Juneau, stop by McAdams headquarters and they’ll put you to work on the phone banks! This last minute push is critical. New polls are out and ALL are good news for Scott. He’s within the margin of error and support continues to grow. It’s last minute efforts that will make the difference! 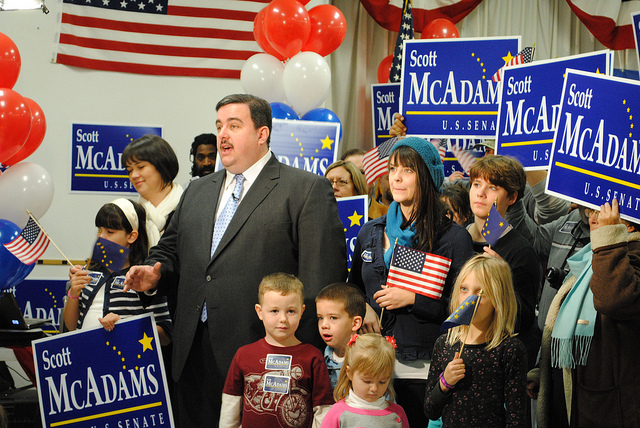 Also, there is a rally for Scott McAdams tonight at Carpenter’s Hall on Denali & 4th in Anchorage. Come get pumped up for a Get Out the Vote effort! This is it! See you there from 6-7:30. Jeanne is out and about and I’m sure she will post a bunch of her great pictures later. I was there earlier (and came home earlier) so here are a couple to start you off. Here’s Scott surrounded by his wife, kids and supporters while being interviewed (via satellite) on Greta Van Sustern’s show…yes, Fox News. ﻿I could tell having Scott’s family here from Sitka was good for him. His son (the dark-haired little boy in the front) is quite the bundle of energy! Candidate for Gov. Ethan Berkowitz was also there and AK Sen Hollis French was the enthusiastic Master of Ceremonies. On my way home (sigh) it started snowing. I’m hoping we just get a dusting or I’m afraid how the first snow of the year might effect the voting. Here’s hoping the main Mudflats site is up soon, the snow stops and the voting is through the roof! Comments : Comments Off on Bedtime in Alaska – Night Kitchen is Open! It’s a dark and stormy night here in Anchorage. I know “The Windy City” is already taken, so maybe I’ll just have to start referring to Anchorage as “The Windier City”. December Mudstock Meetups are happening on December 7th in Southern California, and December 13th in Anchorage Alaska! Click the links and get details. Come meet your virtual community in person! Just in time for the holidays! The Mudflats Recipe Collection: Holiday recipes galore! This collection will be available as The Mudflats Cookbook (pdf) within a week or two….so come and add your secret family recipe. All submissions are in, but there is still time to vote for your favorite photos for the Mudflats Calendar Photo Contest! I had a hard time choosing my favorites! And as always, the Night Kitchen is Open and the kettle is on! What’s on your mind?